Care for a cuppa tea? 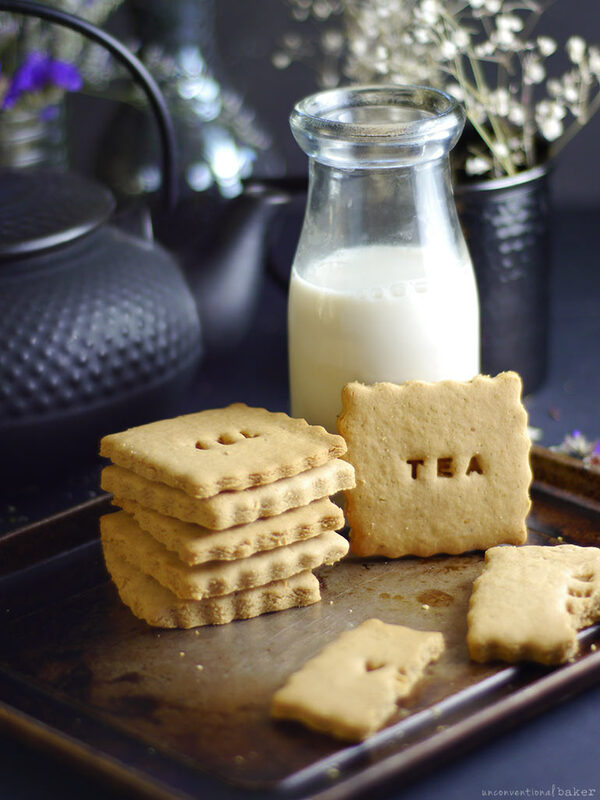 I’ve made you some cashew butter tea biscuits to go with it! 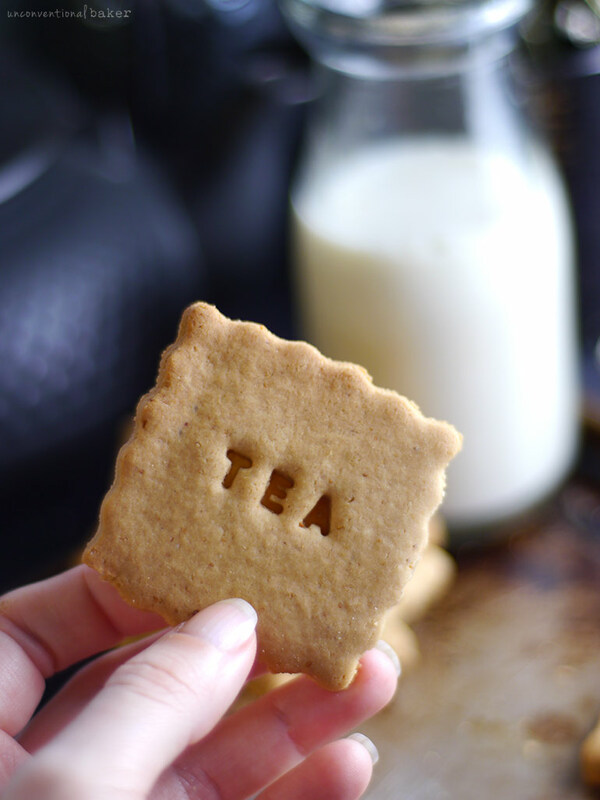 Or tea biscuit cookies… or just tea cookies… Whatever you call these in your part of the world — this is a super simple version that requires no sugar, eggs, butter / non-dairy butter, binders, wheat or a million ingredient gf flour blend. So about that tea… on a personal preference level, I sort of phased out of dunking things in my drinks a long time ago, HOWEVER these beauties + a glass of freshly made nut milk = perfection ? These dainty cookies are simple to make and oh so comforting. 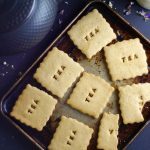 Now to fill you in before you try them — they’re not quite like the “social tea” type tea biscuits you might have grown up with (don’t want to set you up for disappoint here? ), but the more wholesome ingredients and the non-fussy recipe make these equally satisfying. To get those pretty sides I used a square cutter with fluted edges and a separate letter press made for cookies. I was really just having fun with these; that’s all totally optional. You could make these any shape you like of course, or even just cut them into squares with a knife and call it a day. But there’s something fun about playing “cookie dress up” isn’t there? ? If you find yourself looking for oil-free recipes, the cashew butter allows this recipe work without oils or butter substitutes — an easy switch up. I’ve made tons of these cookies over the last little while, experimenting with other nut and seed butters. Sad to report that cashew butter worked best due to its mild flavor. The other butters work, but the cookies always felt like they were missing a little something.. So I recommend sticking to cashew butter for the best flavor. If you still feel like you want to experiement with other nut butters, you might want to try with added flavors (like cinnamon, lemon flavor, etc.). Another quick note is that it’s a small batch recipe. The cookies are crisper when freshly baked, but will soften up a tad when stored (mine went into a sealed tupperware container), so I preferred to make new tiny batches whenever I was in the mood instead. Of course making heaps of batches of these cookies also meant they’d inevitably get dunked in some chocolate… and possibly form an ice cream sandwich…. Ok I know that’s a lot more indulgent than just a simple tea biscuit, but hey, some days you just gotta chocolate ? Must admit, I didn’t make the most graceful sandwiches — they were totally impromptu. I just filled them with this Mango Pineapple Ginger Turmeric ice cream (because that’s what I had on hand) and dunked them in some melted chocolate. 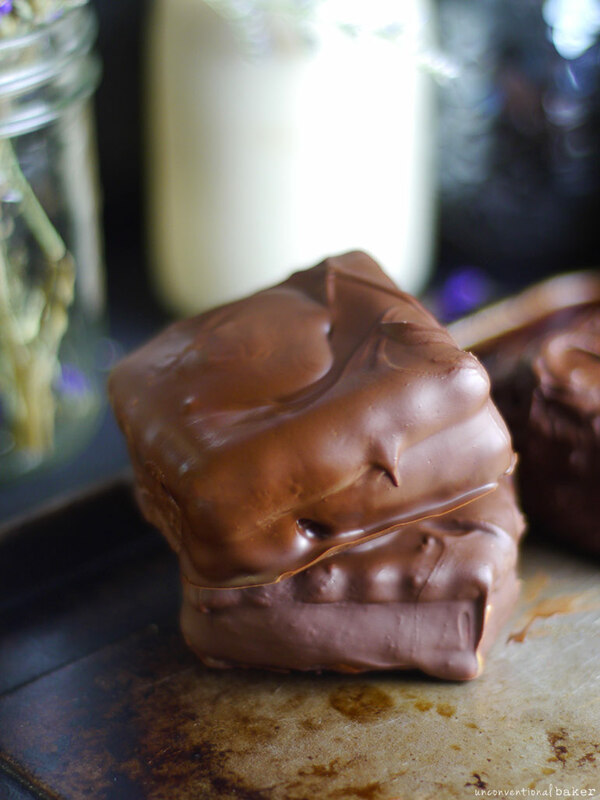 The result was an incredibly messy bar of deliciousness ??? …highly recommend if you feel like indulging your inner child, (ie. you don’t mind getting chocolate and ice cream all over your fingers) ? 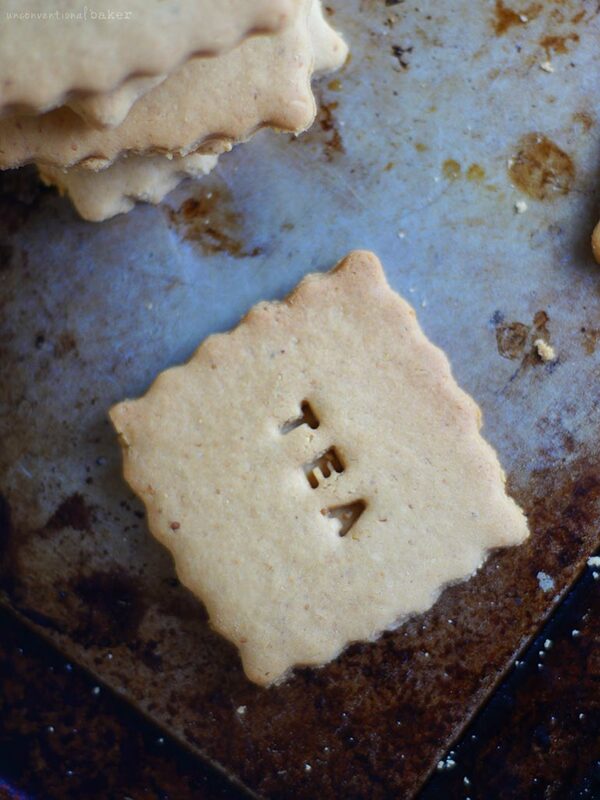 Sweet, delicate cashew butter tea biscuits/ gluten-free tea cookies. So wonderful with a glass of plant milk! 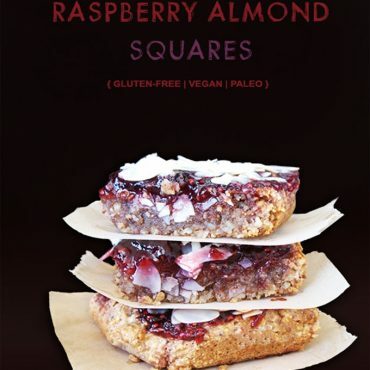 Vegan and refined sugar-free. Process all ingredients in a food processor until the mixture begins to form a ball (note if the mixture is too sticky, add a bit more flour, if too dry, add a bit more maple syrup). Form the mixture into a ball with your hands and knead briefly, then flatten into a disk. Place the disk between two sheets of parchment paper on a flat surface and use a rolling pin to roll out into an 1/8″ thickness. Use a cookie cutter to cut out as many cookies as you can (I used these) — transfer those onto the prepared cookie sheet. Gather remaining dough scraps, form into a ball, and repeat the process of rolling out and cutting out more cookies until you run out of dough. If desired, use a letter press (I used this one) to stamp the cookies (I stamped the word “tea” on mine). Bake in a pre-heated oven for 9 mins (or bake longer for crispier cookies to your liking). Remove from oven and allow the cookies to cool a few minutes (they will firm up a bit as they cool off). Enjoy! This post contains affiliate links to the cookie cutters and stamp I used to make these. Mine came out hard as a rock :( Could it be because of the rice syrup I used instead of maple? And a teaspoon of rose water instead vanilla? Otherwise, I followed the recipe..
I’m gonna make these cookies for when I’m going away. How long do you think they’ll last (in a tupperware box outside the fridge)? Hi Vera. They’ll easily keep well 4-5 days in a sealed container, un-refrigerated. Hello – could I use tapioca flour instead of white rice flour? Hey Lisa, unfortunately not. Tapioca flour isn’t really a flour, but actually a starch, so it typically doesn’t work as a substitute for a flour on its own in a recipe. You could use something like brown rice flour, sorghum flour, or a gluten-free all-purpose flour mix. Can i check if i can replace rice flour with normal plain flour ? and maple syrup with honey? Hi Suzie. 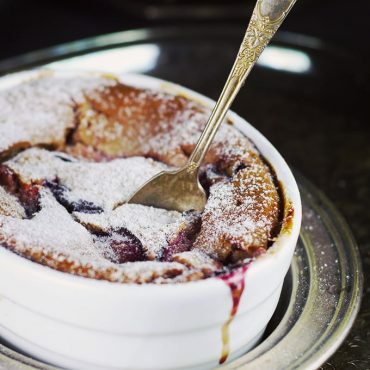 I had a few readers share that it worked fine with plain flour for them. I haven’t tried myself, but based on their feedback I’d say go for it :) If your honey is runny, I don’t see why it wouldn’t work. It’s typically a little less sweet than maple syrup and a bit thicker, so you may need to adjust the quantity to taste. Your recipes are amazing, thank you for sharing them. 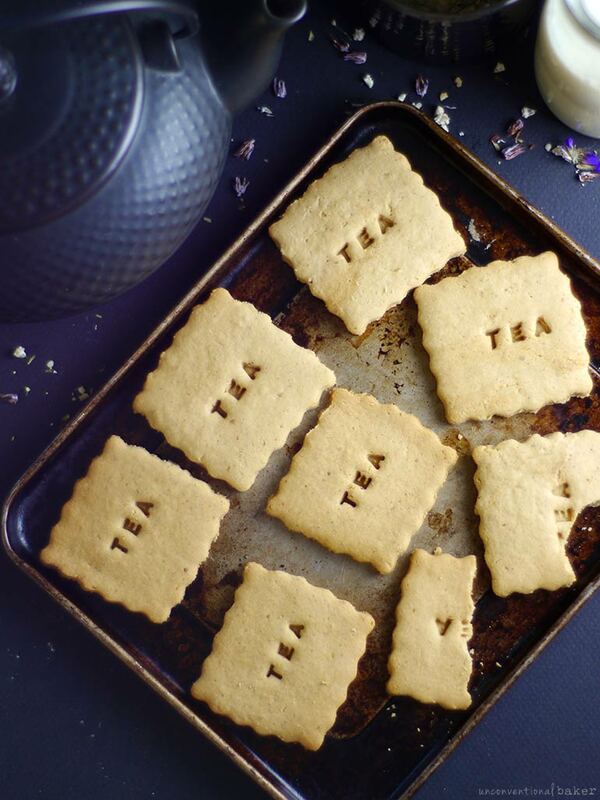 Could you use coconut flour instead of rice flour with these tea biscuits? For this particular recipe, I don’t think coconut flour will work as it functions completely differently to rice flour (very moisture absorbent) so the recipe would just need to be rewritten completely. I do have some grain-free cookies on the blog if you’re interested: https://www.unconventionalbaker.com/recipes/alfajores-gluten-free-grain-free-dairy-free-refined-sugar-free/ They are made with almond flour, not coconut though. And they don’t imprint as well, but they are really delicious and easy to make cutouts with. These are insane! They are so delicious I tripled the recipe and am making a second batch now. This time with cinnamon as you mentioned and coconut nectar. Big thank you for being such a great inventor!!! Thank you, Anja — your feedback made my day :) So happy you liked them! I wanted to mention to you that I accidentally used a bit more salt and it made a huge different. Instead of 1/16, I used 1/4 of a teaspoon. Please give it a try! Thanks for sharing — I can totally see how that would be delicious with a stronger salt & sweetener balance. Thanks for sharing your experiments. Hi audrey, for the white rice flour, is it short grain rice flour (east asian type) or the long grain (indian type) since both tend to yield different results? Hmmm… interesting question. You know, the rice flour I bought doesn’t specify what type of white rice. I think so long as it’s ground finely, you’re ok with either short grain or long grain-based flour for this recipe. Even brown rice flour would work. Extra with september’s strawberries and “crème chantilly”. But too few of them, next time I dobble the ingredients ! How does it come that it tastes like I used some cinnamon (and I didn’t) ? Thank you so much for sharing, Annika! So glad you’re enjoying them and happy to hear about the alternative flour mix you used. I imagine they didn’t want to “stick” because of the tapioca so the addition of a bit of coconut oil is a great idea to offset that. Thank you for sharing especially because so many people have been asking about a rice substitute here. use almond meal or coconut flour instead of white rice flour? Audrey, these sound terrific! I am looking forward to making these, but I have to ask: what brand of (fine milled) rice flour are you using? And is it available here in Canada? These are just lovely Audrey! I think the “tea” lettering is so sweet, and your styling in the photos is very pretty and zen-like. I don’t usually leave comments until I’ve made something, but this time I thought it was ok because my comment is about how beautiful your post looks :). Could I use other flour instead of rice flour?